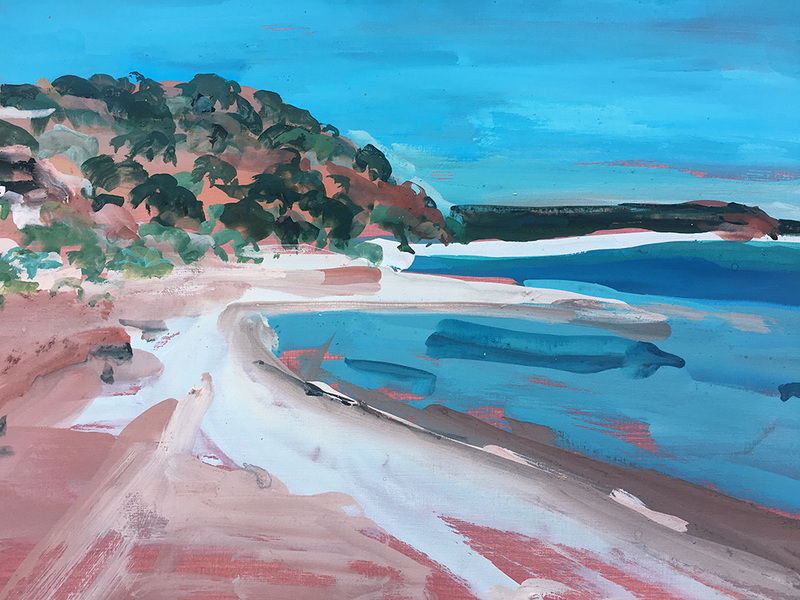 Holly Greenwood is an emerging visual artist generating much excitement about her work, and a fast growing a ground swell of fans. 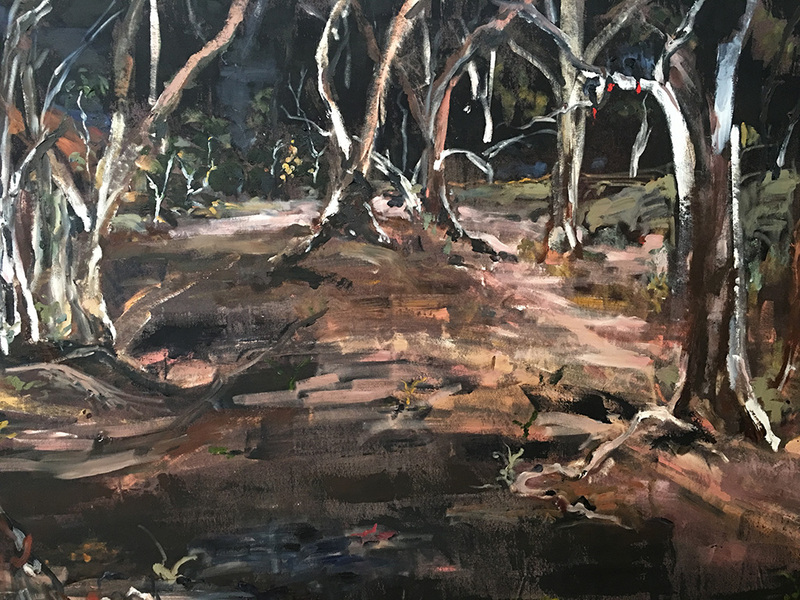 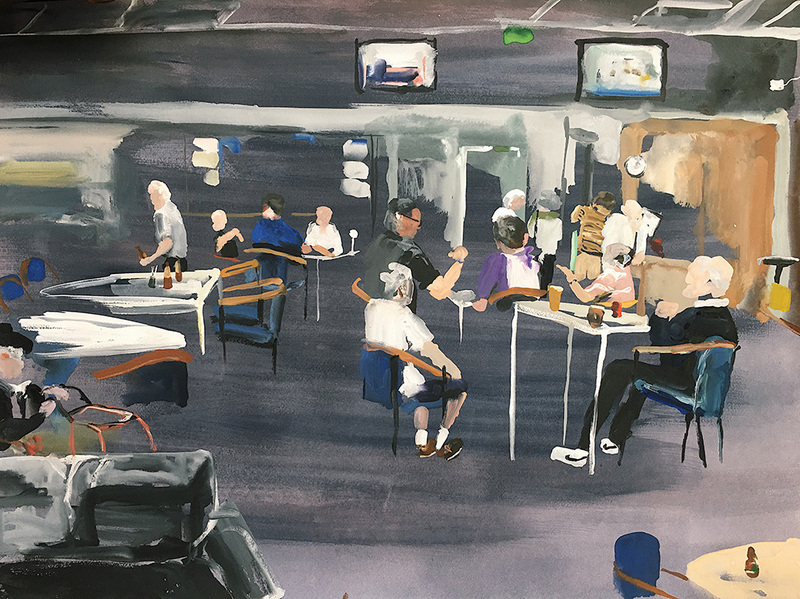 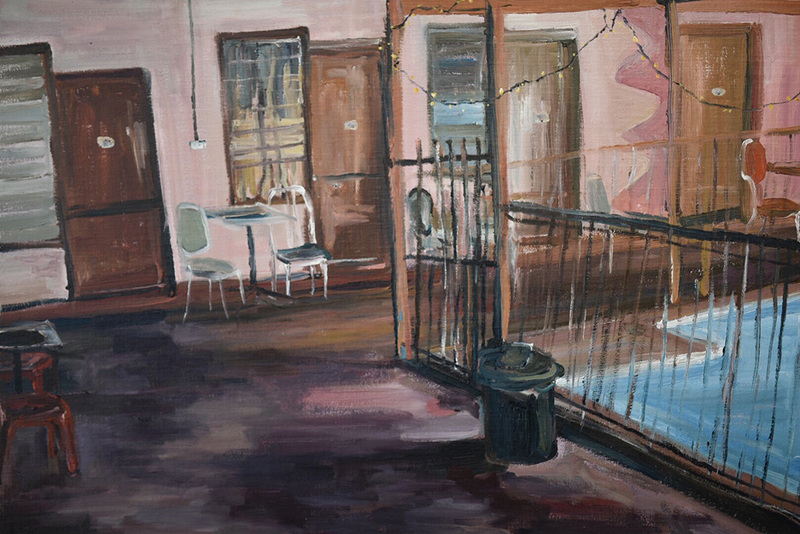 After the success of her earlier solo show, ‘Faded Land’, at Saint Cloche, Holly has yet again produced a stunning body of work with ‘Bush to Pub’. 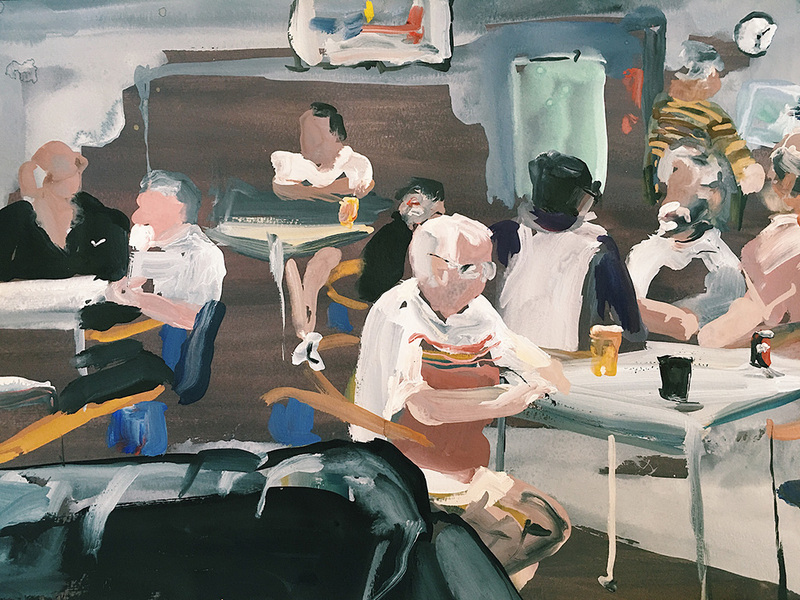 Bush to Pub is inspired by an epic 6-week, 16,000km road-trip around Australia. 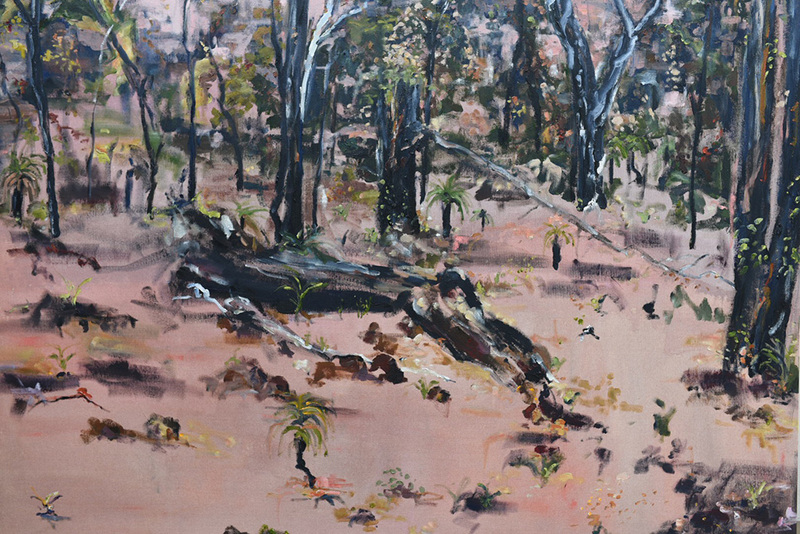 Her journey saw her traversing the country from Sydney to South Australia; across the Nullabor to Denmark WA; up the Western Coastline to Broome; from Kimberley to Kununurra ; Katherine to Kakadu; and home again via Alice Springs, Coober Pedy and Broken Hill. 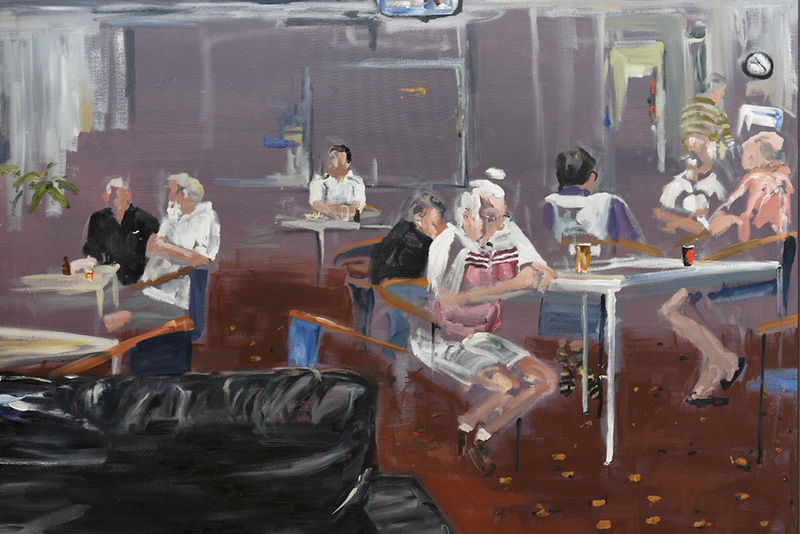 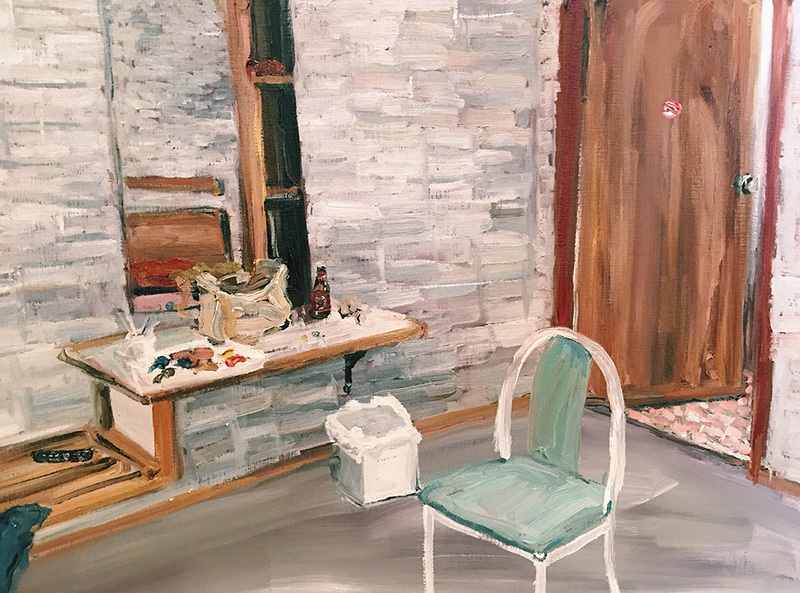 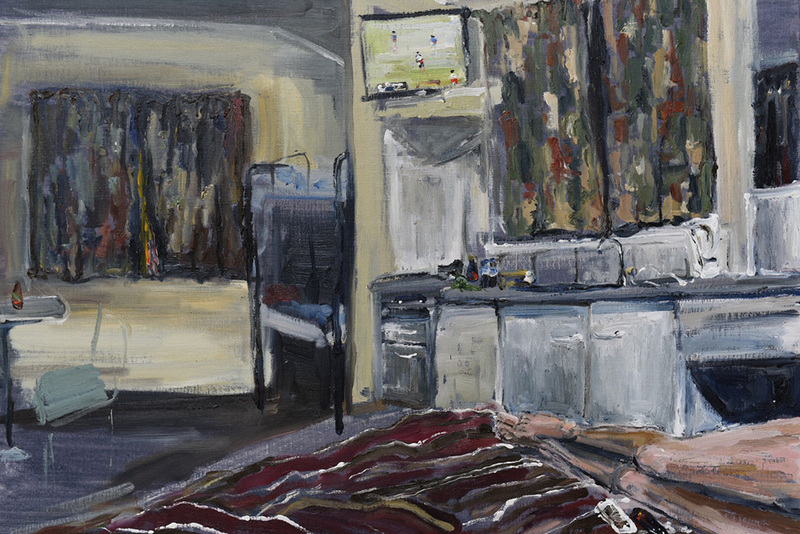 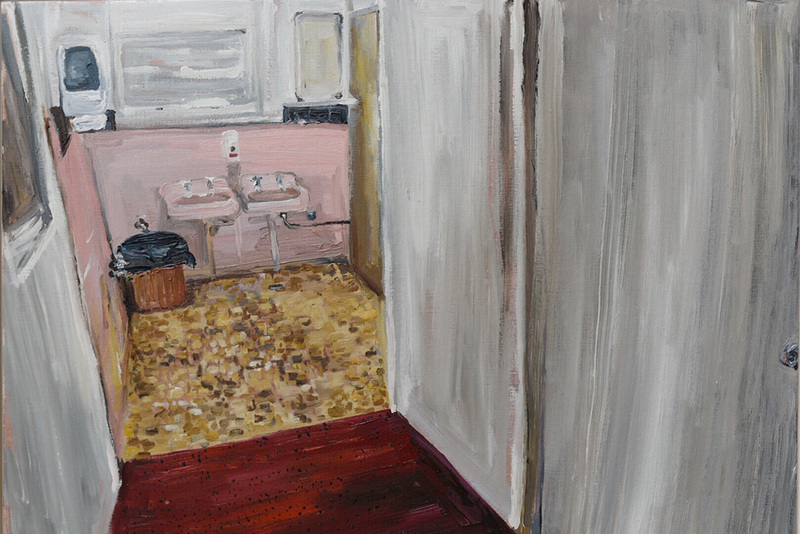 This exhibition of Holly’s works represents a very beautiful and at once very Australian perspective on the dusty motels and cabins along endless highways, dotted with Aussie pubs and ever-changing burnt sienna and azure landscapes. 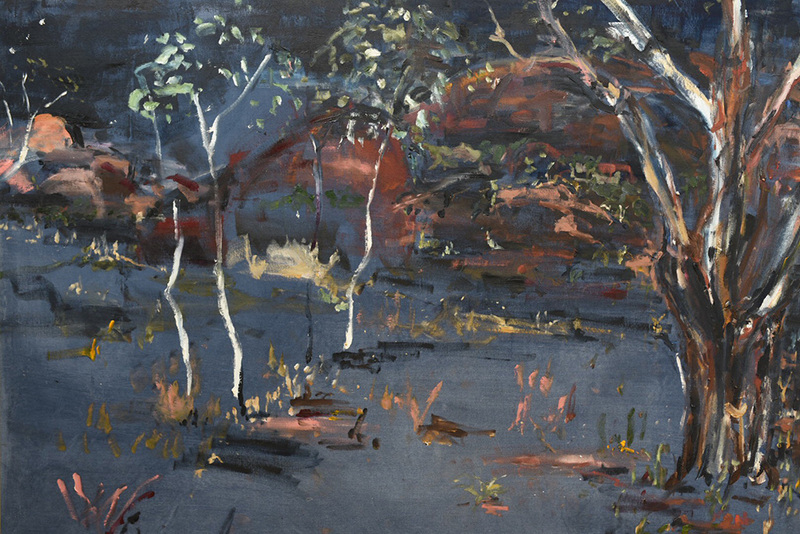 “I painted on dried up riverbeds in stifling humidity, at night in the desert with an inky black sky and mosquitoes. 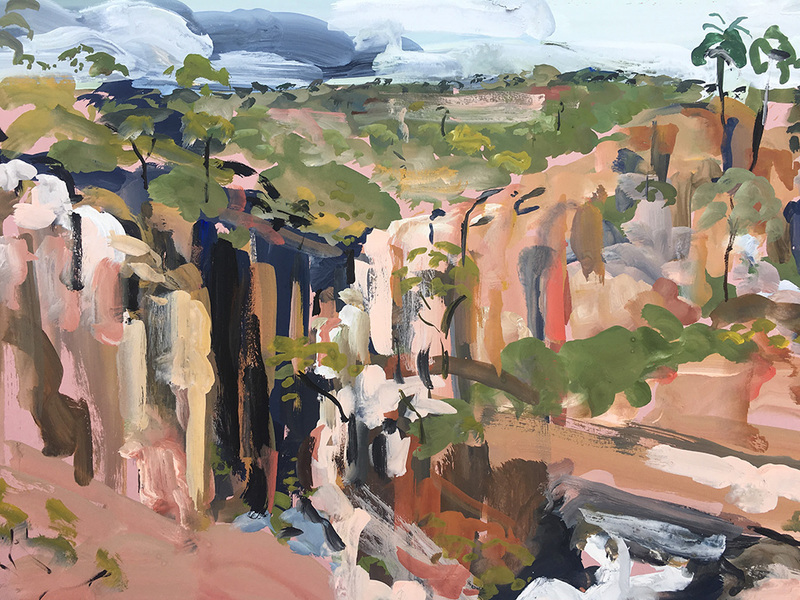 I rolled out my canvas where the desert meets the sea at Shark Bay WA, and through an approaching storm in Kakadu. 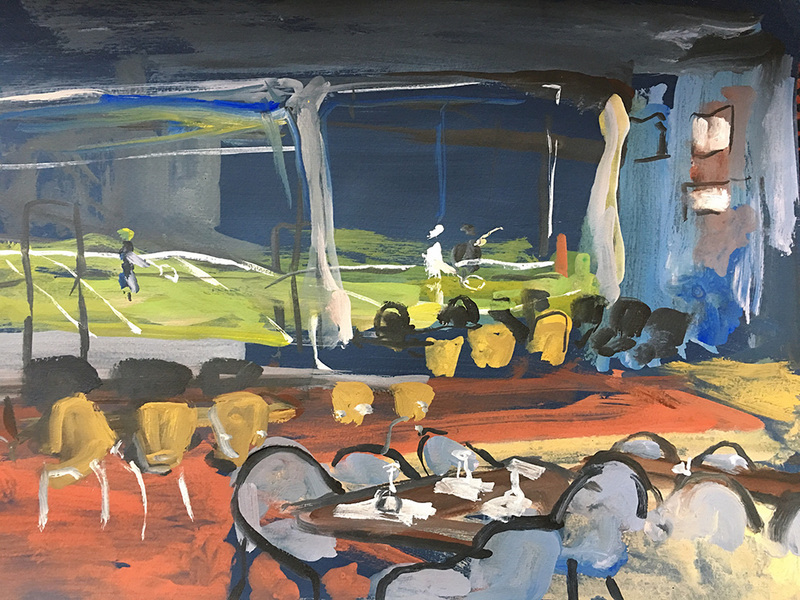 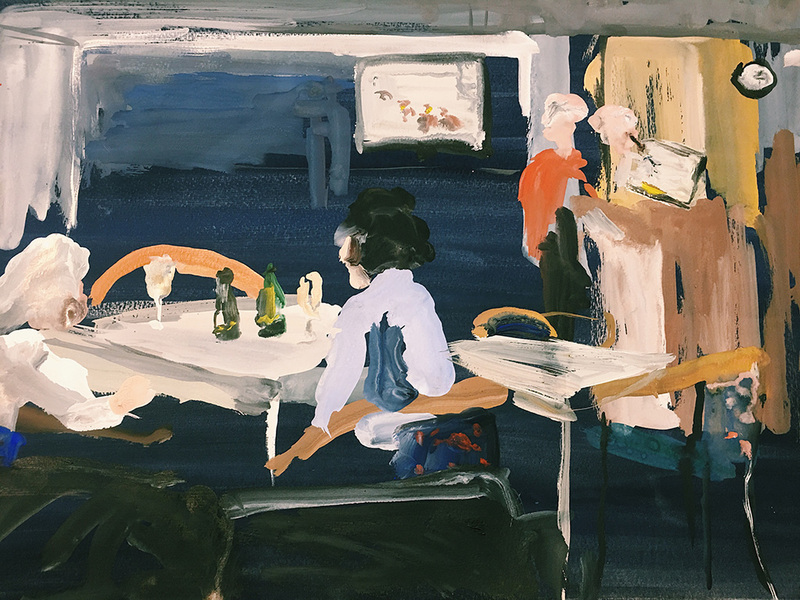 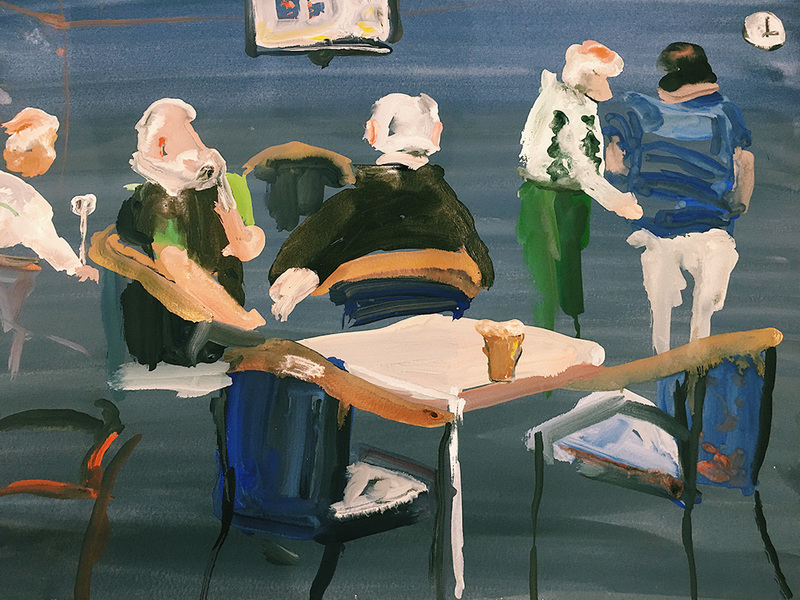 And then there were the pubs, where we could enjoy a beer with the locals and absorb the town chatter while I painted their figures in drippy gouache”. 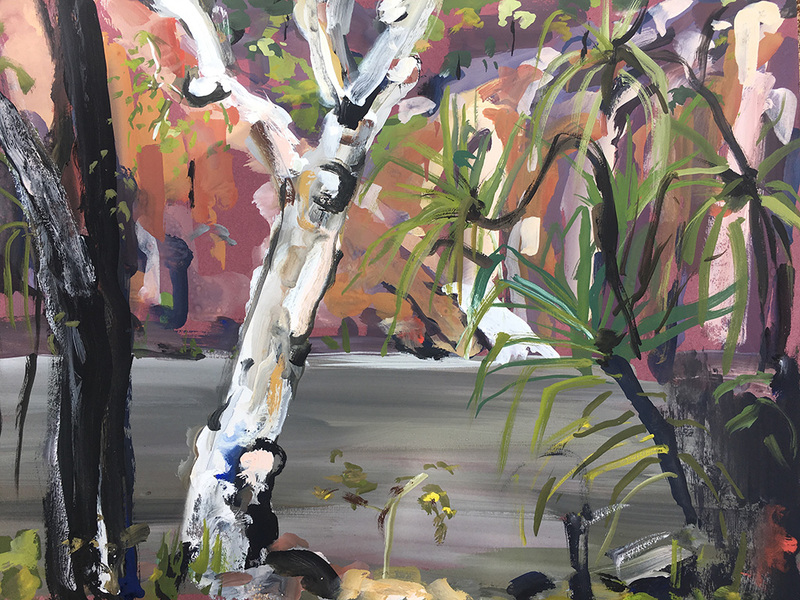 Bush to Pub is a new series of work that pays tribute to these views as Holly sees them. 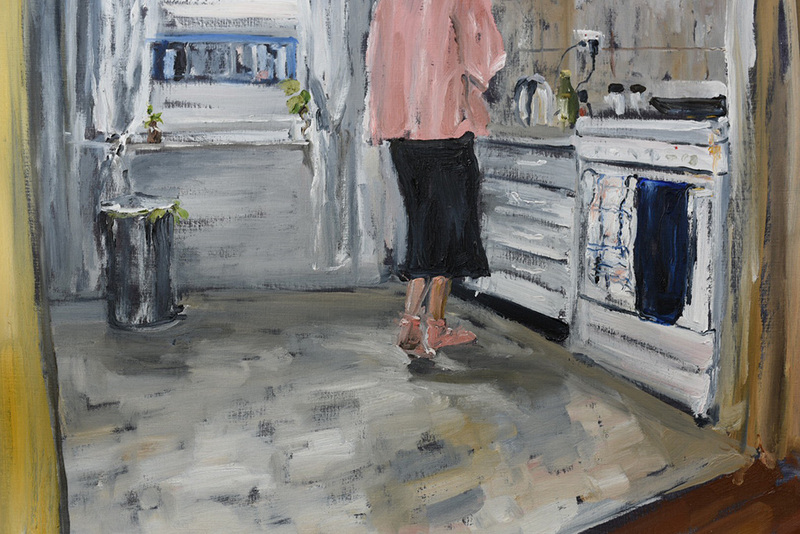 They are wry, and rich in her trademark personality and humour, while showing sensitivity to subject and colour all with her distinctively gentle, and feminine nuance.